Is this VCE also for the test for V9.5? I'm asking that because the only course that I found is for 9.5 and it is the only option that we have here. You must be registered with Veeam, then communicate with Veeam support, you have already taken the course so that they can add you to your system and you can reserve the exam. Good luck and let us know if you approve please. I want to do Certification on Veeam. Working on Veeam from last 20 months. I have been to 5 days Veeam Training from My Company. Now when am trying to book the Schedule for the test it saying me to take the training !!! Please Someone Help me! hello, someone could help us confirming the truth of the questions of this tesking please. Is this dump is still valid? Veeam Software (the name "Veeam" came from the phonetic pronunciation of the letters "VM", as in virtual machine) is a privately held information technology company that develops backup, disaster recovery and virtualization management software for VMware and Hyper-V virtual environments. The Veeam Certified Engineer (VMCE) certification is documented proof that an engineer possesses the necessary level of expertise to correctly deploy, configure and administrate Veeam Availability Suite V9. It is a great investment for an IT professional looking to increase productivity, reduce operating costs, propel personal career advancement and achieve industry recognition. The VMCE certification is designed for system engineers, backup and virtualization administrators and pre-sales / post-sales / solution architects and consultants. To become a VMCE, candidate will need to attend a technical training course and take the exam. The training course is available in-person and online. The VMCE-V9 exam includes 50 randomized questions from each of the course modules. 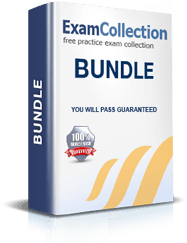 The VMCE certification is awarded to scores of 70% or higher. To pass the Veeam exam, individual must have a solid virtualization, backup and recovery knowledge base. 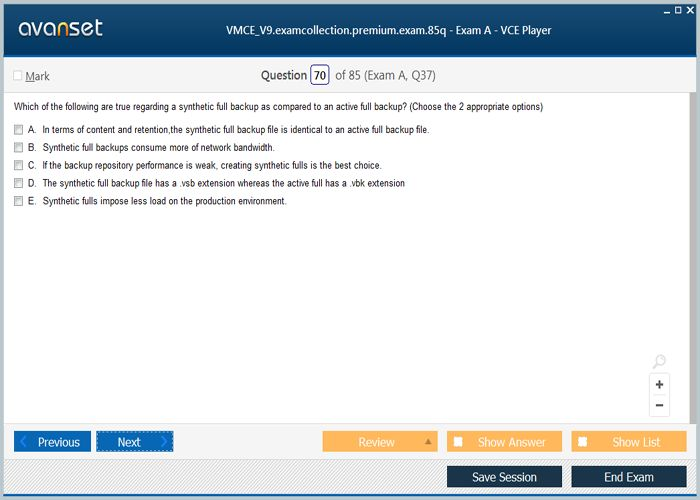 By becoming a Veeam Certified Engineer, candidates will have access to all of the benefits provided to the VMCE community, including an opportunity to share the transcript with other IT professionals to prove that individual passed the final exam and show your progress toward virtualization technologies. Generally speaking, any IT specialist eager to become an industry recognized expert over Veeam software solutions.